A beautifully detailed St. Michael medal. 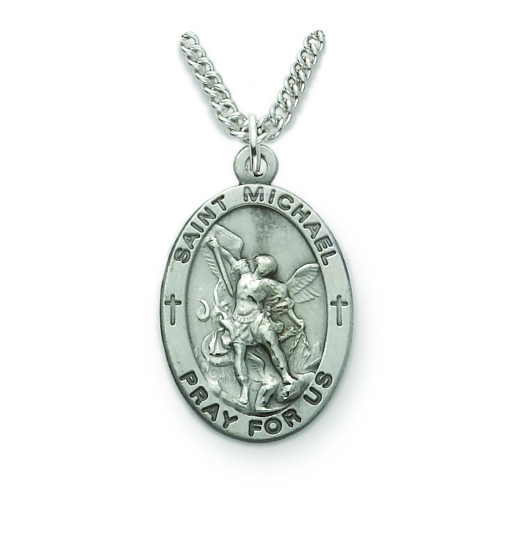 One of the post popular patron saint medals, St. Michael protects all that serve in our police and military forces. The saint medal is delivered on a sturdy 24" Stainless Steel Rhodium finish chain. As all our True Faith Jewelry the medal is delivered in a velour gift box.